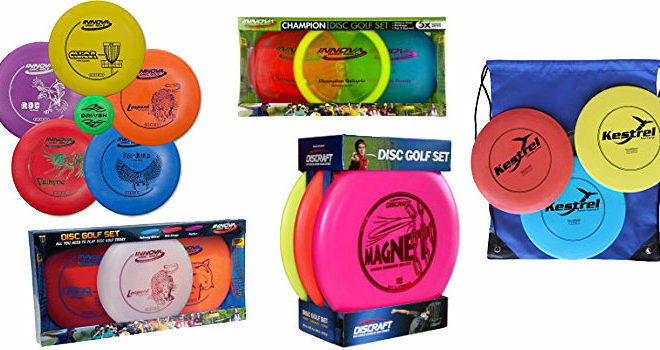 Slingshot Disc Golf Bag by Driven Review – Frisbee golf has become one of the most popular fitness based sports in the US, and one of the best things about it is the fact you don’t need a lot of equipment. 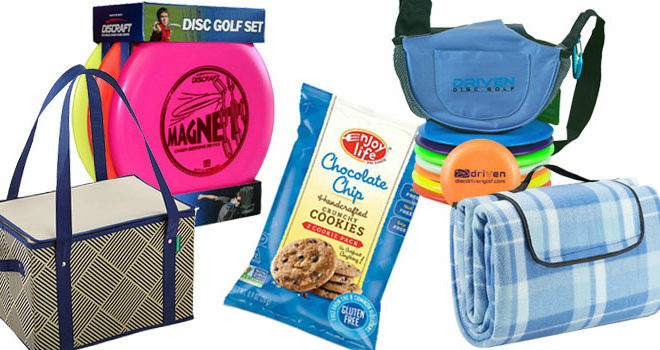 One thing you will find really useful however, is a bag to carry the discs around. 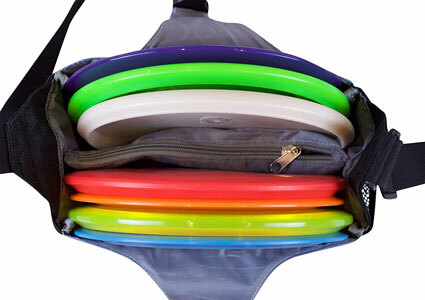 If you’re looking for a high-quality bag that provides excellent value for money, this Slingshot disc golf bag by Driven is just what you need. 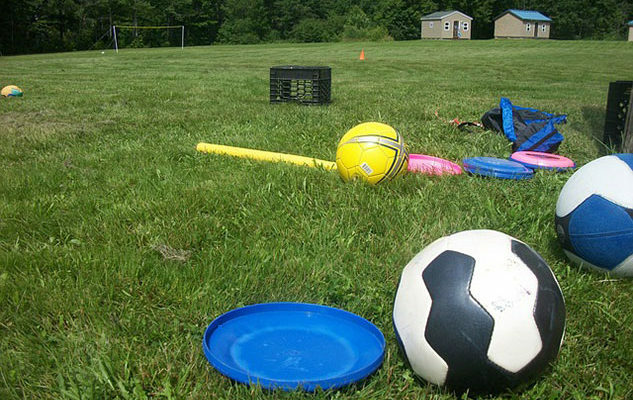 The last thing you want when you’re heading out to play frisbee golf, is a heavy, uncomfortable bag. This Slingshot bag by industry leader, Driven, benefits from a really comfortable and lightweight design. It’s available in two different colors, a cool blue or a kiwi green. 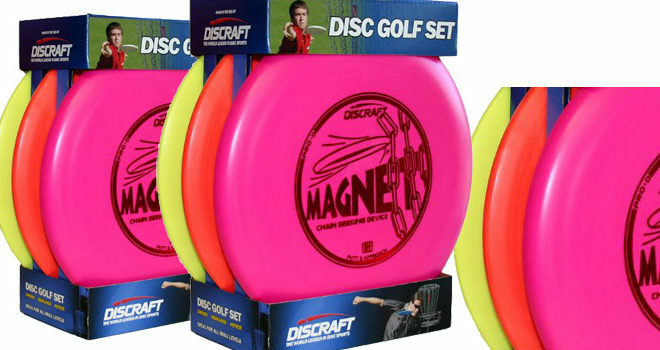 Its open-face design provides super-quick access to the discs without the need to take the bag off. So, you could even wear the bag around the disc golf course without taking it off if you’d prefer. Simply select the disc you want and throw it – you couldn’t ask for a smoother motion that won’t interrupt your game. The bag is designed to be worn over the shoulder. So, if you’re looking for one you can wear around the waist, this might not be the right one for you. It doesn’t include a clip of any kind to connect it to the waist. The bag is made from tough, durable 1680 denier polyester. This is what helps to give it a lightweight design, but it also ensures maximum durability. Another impressive benefit is the space available in the bag. As well as being able to hold 6-8 discs, there’s also separate storage available for your important items such as wallet, keys and phone. The bag features an internal divider, a card holder, two zippered pockets, two drink holders, a pocket for mini discs and a Velcro pocket. That’s a lot of storage and definitely more than most disc bags provide! It’s worth noting the drink holders will fit a drink roughly the size of a can of soda, rather than a 32oz bottle of water. If you were to add a 32oz drink, it would make the bag unbalanced and uncomfortable to carry around. 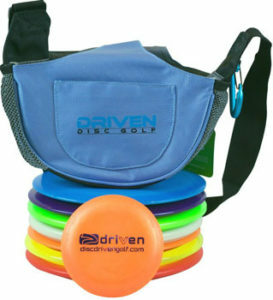 Overall, if you’re looking for a convenient, compact disc golf bag, this model from Driven is ideal. 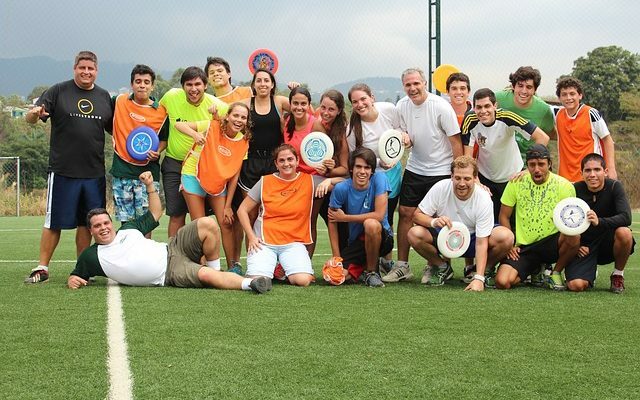 Be aware that you’re only getting the bag here and discs will need to be purchased separately. 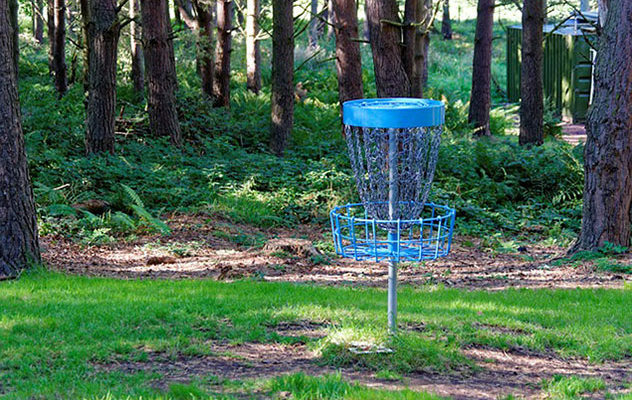 If you’re a pro disc golfer you may want something a little bigger, but for those who play for leisure, this should provide plenty of space to fit your needs.